Welcome back again, clones! This week’s issue of the 501st newsletter continues to bring you the up-to-date information from the front. Gather around and listen close for the latest in Republic news. This week’s article will contain information regarding the upcoming Galactic Campaign hosted by Hailstorm Battalion and the 501st Legion. The Galactic Campaign is approaching fast and will be the next step into making an interactive and creative experience for everyone in GARC. It is a long term commitment that the 501st will be deployed into for the foreseeable future. The foundation and principal ideas for a large scale campaign, spanning across many worlds with variable objectives and consequences has always been a goal for the 501st, but it was not until CS Verax, the current section lead for campaign management, and Hailstorm command decided to expand on the idea and dedicate the resources towards fulfilling this goal. Recently, Coward’s campaign was an example at what a planned campaign could achieve when all the elements participate. As of today, the unit has been doing similar random adventures that have been varied every week and field training exercises that focus on improving specific skills within the battalion alongside the odd campaign thrown in the mix. There was an issue with these missions, some felt as if there was nothing at stake and no real consequences and that there was no real difference between a well made field training exercise and a well made campaign mission, other than the fact that campaigns had a tendency to stretch over a longer period of time. After some time organizing and the end of winter stand-down, the 501st has presented the refined idea of a procedural and persistent Galactic Campaign. Now there is a galaxy at large and a continuous story to invest in. 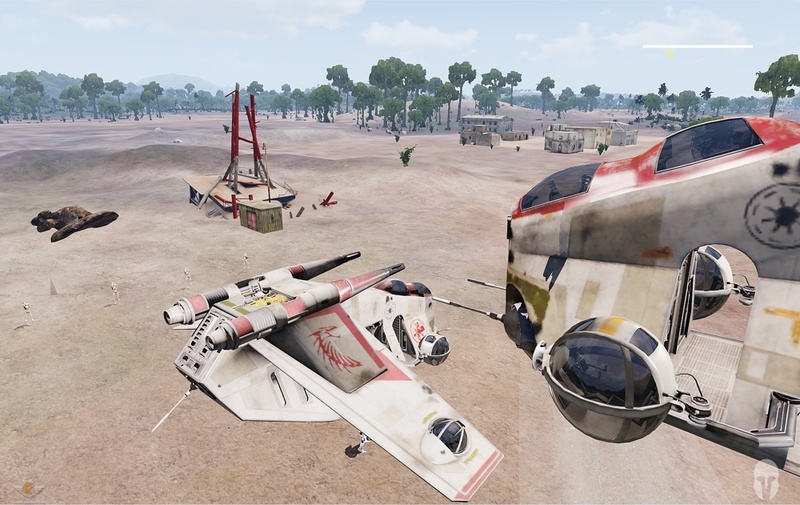 People can now look forward towards new operations, putting the skills they’ve learned to the test and possibly have the opportunity for victory or failure in dynamic and important missions. This Grand Galactic Campaign is similar to a Total War style galactic map that consists of 63 sectors, with each sector having 7 to 32 planets each. Battalion HQ will decide what actions to take on the sector level, while standard troops will only experience the fight planetside. Every action will be felt by the unit with battles affecting the outcome of sectors and the sectors affecting their local region. These regions, which are composed of two to four sectors, can contain multiple factions and could take anywhere from six months to a year to complete, with individual sectors taking anywhere from one to four months. This requires the constant attention of all the C-shops, who will need to continually maintain it and if they do, this could potentially last the entire lifetime of the unit. This campaign also needs intelligent and dedicated people to help flesh it out with managers and story writers who will give depth and focus to our galaxy. Every action matters and no battle is pointless as they will be remembered by the consequences that follow. Other GARC units could potentially join this campaign further down the road to assist the 501st in the fight with real players representing the Confederacy’s command who will be trying to beat the Republic and remove their control from the galaxy. “I think the payoff for the campaign could be very large” states CS Coward, who is the Lead Story Writer for the Galactic Campaign. The 501st will be starting on the southern side of the galaxy in the sector Sujimis. The neighboring regions include the Naboo Pike and the Outlands, which holds such systems as Kamino, Ryloth and Christophis. The sector that the 501st is currently deployed in is home to the Kazaraki who were recently thrown out of power in the local region due to a natural catastrophe and temporary loss of communication to the Republic Senate. This event allowed the Republic allied Pantorans to seize political control of the region and all its planets. The Pantorans, who are very ambitious, have been seeking control of the region for some time to extend their support received from the Republic. The Kazaraki on the other hand, who were known to be a very noble and proud people and were very well received by almost all the other powers in the region. With the loss of all of their former political power, their long lasted control of the region and a recent strike from Pantoran forces, which killed a high profile Kazaraki Baron, the Kazaraki people have devolved into a completely warlike state and began to participate in barbaric matters such as the slave trade. They then retaliated and called for the assistance of the Confederacy to remove Pantoran control of the region and seceded from the Republic. Along with asking for CIS support, many of the neutral worlds, most of which despise the Republic and the Pantorans, are willing to rally to support the Kazaraki and ultimately seek that the Pantorans relinquish their control of the system. 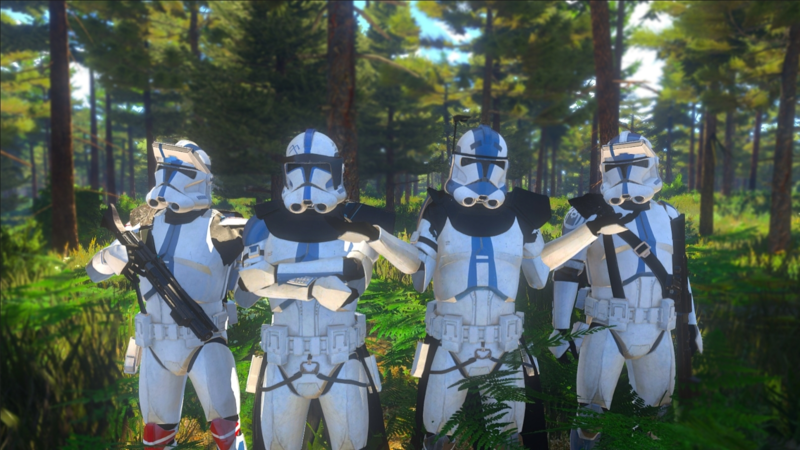 The 501st has been deployed to stabilize the region and defend Pantoran control and assets. In the most recent events Hailstorm Battalion has broken away from the Republic supply chain in the sector and began its invasion of the contested planet of Negev with two Acclamators, the RSS Harbinger and RSS Phantom. The RSS Harbinger was lost and considered derelict during the initial battle over the planet leaving the RSS Phantom the lone Republic cruiser in the battle. If Republic forces lose this sector, it will open access for the CIS and Karazaki invasion and control of all the local regions. The campaign begins February 1st with 3rd Platoon’s operation and will continue through with the other platoon operations for the foreseeable future. This upcoming Wednesday, the 30th, Onyx will be hosting a public training session at 5:30pm EST on whatever server is available. The Topic(s): CQC Procedures, and HVT/VIP Procedures. If anyone intends on being a pilot they should be part of the next two Initial Evaluation and Assessment classes. Razor in its current state is almost full. Check the first pin in the razor channel on discord for information. You can Alt+click on map icons to move them around!